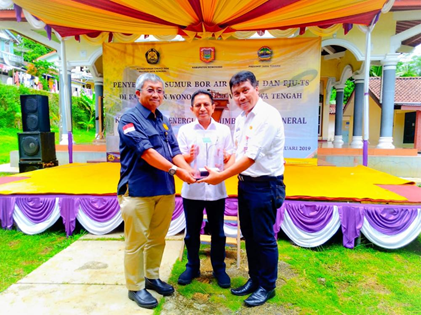 WONOSOBO - The Directorate General of New Energy, Renewable Energy and Conservation (EBTKE) today (13/2) symbolically handed over 263 units of Solar Public Street Lighting – Solar Power (PJU-TS) to the Government of Wonosobo Regency. This hand over also marks the PJU-TS unit that has been built to be fully used by the community to meet lighting needs at night. The government through the Directorate General of EBTKE is present to improve community welfare through the use of energy based on renewable energy, namely solar power, one of which is Solar Public Street Lighting – Solar Power (PJU-TS). Head of the Energy and Mineral Resources Research and Development Agency, FX. Sutijastoto in his speech, revealed that the growth of PJU has increased very rapidly in the last 5-6 years. From the aspect of energy consumption, in 2015 the PJU consumed electricity of 3,448 GWh and contributed Greenhouse Gas emissions of 2.99 Million Tons of CO2 into the air, which is estimated to increase in number. The amount of energy consumption and PJU emissions is partly due to the fact that most still use technology that tends to be wasteful and has a relatively short service life and most of PLN's electricity plants (89.53%) that provide power to PJU still use fossil energy sources. With this problem, the use of PJU that uses solar power or PJU-TS, can be a solution. PJU-TS utilizes the potential of new renewable energy in the form of solar energy which is converted into electrical energy through a process that is environmentally friendly because it does not produce pollution. The lights used in the PJU-TS use LED type lights, making it more energy efficient and have a longer service life. "In 2018, the Ministry of Energy and Mineral Resources through the Directorate General of EBTKE implements the installation of PJU-TS in 26 provinces with a total number of 21,864 points. For Central Java, 2,611 points are allocated," said Sutijastoto. 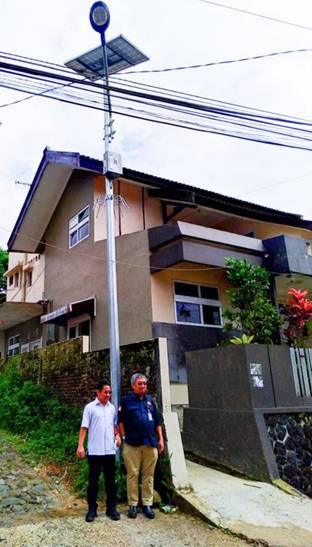 "Mr. Tjatur Sapto Edy as one of the legislators in Commission VII has initiated the construction of PJU-TS in Central Java, including 90 points in Wonosobo Regency," he added.